Tonight the U.S. House of Representatives passed its version of Senate Bill 483, Ensuring Patient Access & Drug Enforcement Act of 2016. The Senate passed the bill on March 17, 2016. 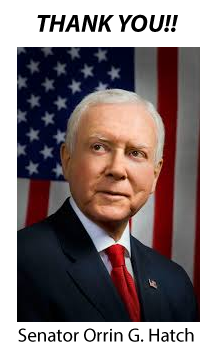 Sponsor Orrin Hatch (R-Utah) introduced the bill on February 12, 2014, and continued to championed it through the Senate Judiciary Committee. A big THANK YOU for the many letters and personal contacts that were made to U.S. Senators and Representatives in response to the call to action by the National Fibromyalgia & Chronic Pain Association in February 2016. (3) notify the applicant or registrant of the opportunity to submit a corrective action plan on or before such appearance. Requires the Attorney General, upon review of any such plan, to determine whether denial, revocation, or suspension proceedings should be discontinued or deferred for purposes of modifications to such plan. Makes such requirements inapplicable to the issuance of an immediate suspension order. (3) how collaboration between federal, state, local, and tribal law enforcement agencies and the pharmaceutical industry can benefit patients and prevent diversion and abuse of controlled substances. The National Fibromyalgia & Chronic Pain Association is very appreciative to Senator Hatch and his Legislative Assistants, Members of the Senate Judiciary Committee, and the House of Representatives for supporting this important legislation. We strongly urge President Obama to sign the bills into law immediately.